Browsing the Web has become a precarious activity, with government agencies and advertisers often tracking your every click. 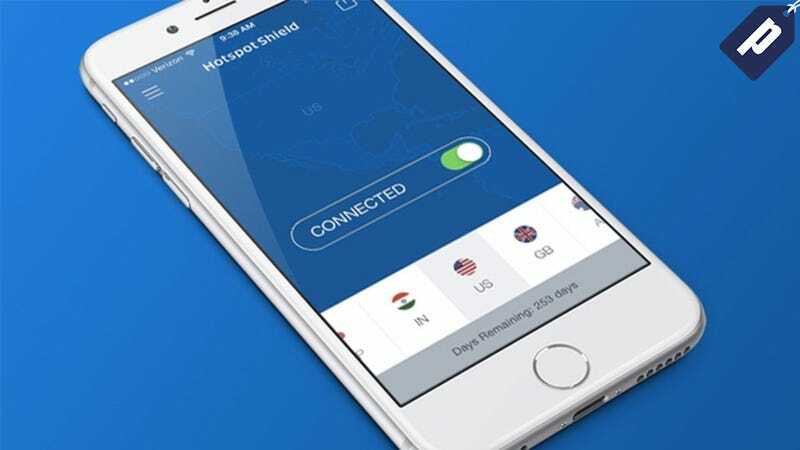 Luckily, Hotspot Shield Elite VPN hides your IP address and location, providing total privacy protection. You can get lifetime service for just $39.99 - 60% off the regular price. Hotspot provides instant protection by routing your data through any of 20 servers located around the globe. As an added bonus, you can also circumvent geo-restrictions on your favorite content (Netflix, anyone?). Normally $100, you can currently get a lifetime subscription for $39.99, with unlimited bandwidth included. Sounds good? Hit the link for more.